Chinese New Year falls on the 19th of February this year, we leave behind the Year of the Horse and welcome the Year of the Goat. Duck is often featured in Chinese recipes and I would often choose it if I was eating out, however it’s a meat I cook only occasionally. 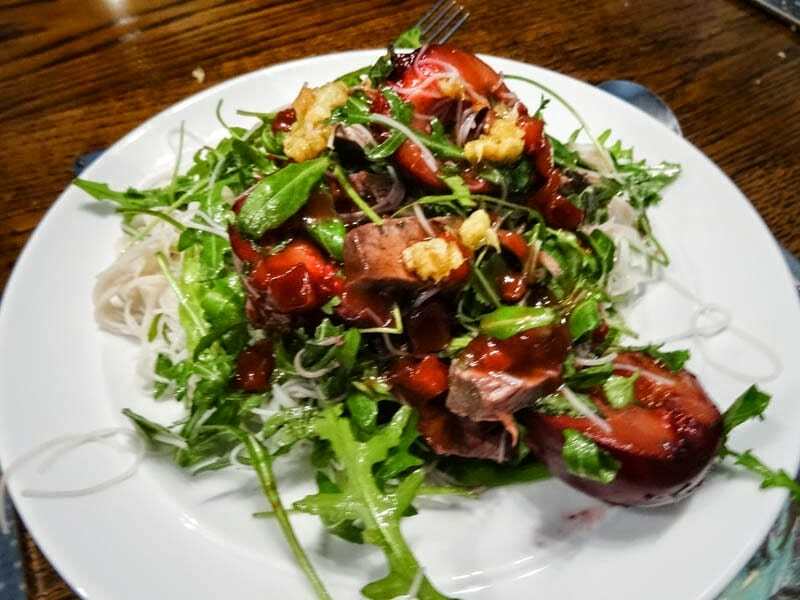 Duck and Plum Salad would make a great dinner party meal as you can roast the duck and plums earlier in the day then you only have to assemble the salad before serving. This looks absolutely fab! I really like the idea of duck and plum together, but I've never tried it. I will have to now. Thanks! Thanks Neil, I was surprised just how good it was. I adore duck and any recipe that includes it is a great one, especially like the plums. One of my favourite roast chicken dishes is with plums – it is one of those great combos. This recipe looks fab and I will give it a go. That's interesting Madeleine, I haven't cooked much in the way of savoury dishes with plums before, but I will now. 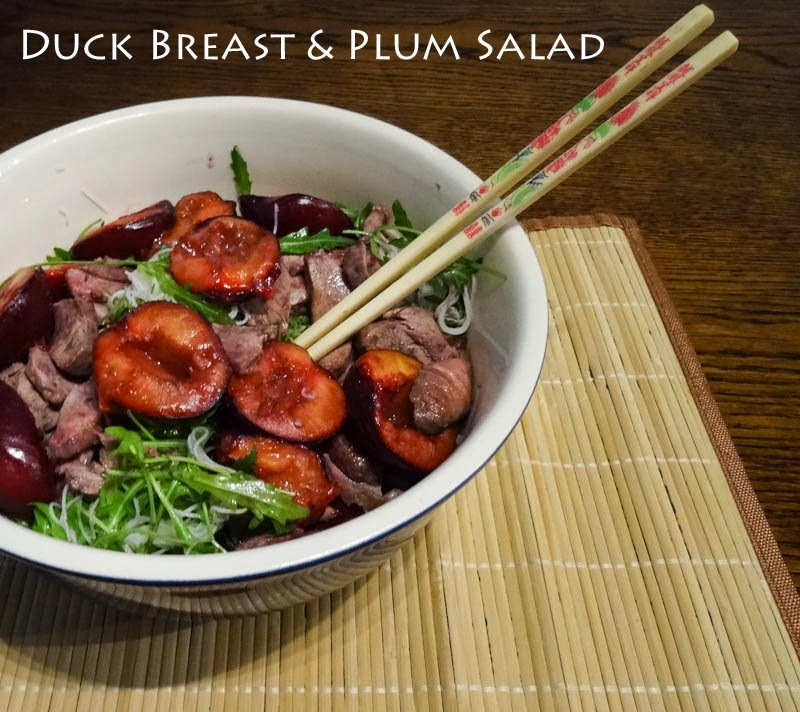 Your duck and plum salad looks amazing, I love the falvour combinations. Thanks Charlene, the combination works so well. YUM! That looks crazy good Janice. I grow my own ducks and I've never though of putting plum with them, I bet it is a superb mix. This meal sounds so tasty, and really easy to do, I always think of quick frying (which I can never prepare for and find too much of a rush!) rather than roasting with Chinese dishes so this makes a lovely change. Going to try this at the weekend. I never seem to cook duck at home but order it when out, always a bit scared of over cooking it! 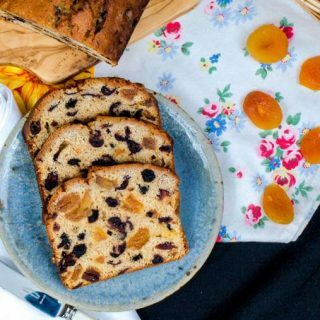 Love the sound of it with plums, they do give a lovely flavour when baked. Oh this looks absolutely delicious. I now know what is going to happen to the two duck breasts I have in the freezer. Fabulous.